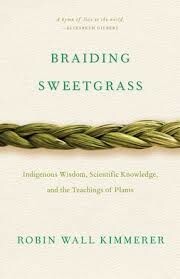 Called the work of "a mesmerizing storyteller with deep compassion and memorable prose" (Publishers Weekly) and the book that, "anyone interested in natural history, botany, protecting nature, or Native American culture will love," by Library Journal, Braiding Sweetgrass is poised to be a classic of nature writing. As a botanist, Robin Wall Kimmerer asks questions of nature with the tools of science. As a member of the Citizen Potawatomi Nation, she embraces indigenous teachings that consider plants and animals to be our oldest teachers. 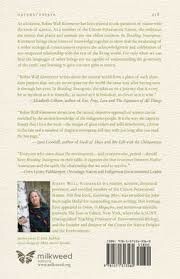 Kimmerer brings these two lenses of knowledge together to take “us on a journey that is every bit as mythic as it is scientific, as sacred as it is historical, as clever as it is wise” (Elizabeth Gilbert). Drawing on her life as an indigenous scientist, a mother, and a woman, Kimmerer shows how other living beings offer us gifts and lessons, even if we’ve forgotten how to hear their voices.